Check skin, hair and warm skin folds especially the neck and scalp of children, for ticks after a day out. 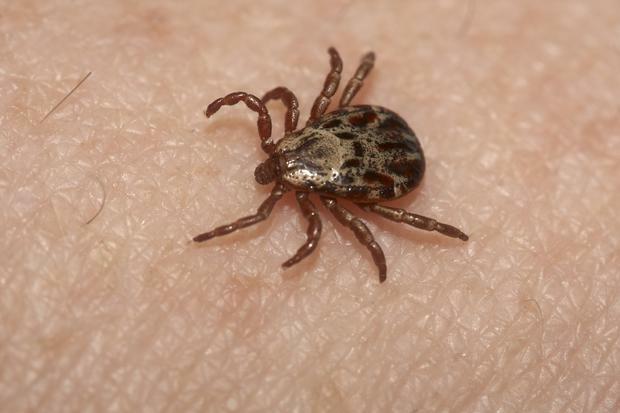 Make sure you’re not one of them by protecting yourself against tick bites, especially at this time of year when you’re more likely to be out and about. Wear trousers, long-sleeved shirts and shoes. Check skin, hair and warm skin folds, especially the neck and scalp of children, for ticks after a day out. Remove any ticks and consult a GP if a circular rash or other symptoms develop. Ticks need to be removed entirely, including any mouth parts that might break off. If you have a pet, you need to be vigilant as ticks can jump from pets to humans. TV vet Pete Wedderburn recommends the O’Tom Tick Twister rather than traditional tweezers, as it is designed to extract the tick completely by rotating in one direction and pulling the creature out whole. “Put the tick in a plastic bag and squash or burn it and wash your hands afterwards,” he said. Mosquito bites cause intense itching and can lead to a serious allergic reaction. Insect repellents are effective – and don't forget to cover up at night if you're camping. Unlike the wasp, the common bee leaves its sting inside you and it's important to remove it to prevent infection. Midges attack in swarms, and while they don't transmit illness, their bites can be very painful and itchy. Use insect repellent and cover up at dawn and dusk.